The average cost of a smartphone in Kenya has gone down from Kshs. 19,600 ($200) to around Kshs. 9,800 ($100). This is based on a White paper published by Online retailer Jumia. 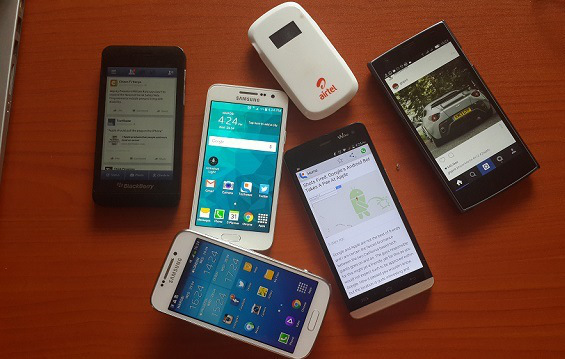 According to the report, 1.8 million devices sold in 2015 in Kenya so far were smartphones. This represents 58% of devices sold which in effect represents 112% growth in this segment. Nairobi continues to lead in the uptake of smartphones with 42% of smartphones sold being in the Capital. Interestingly, this is a decline from 70% in 2011. The Kenyan market has also witnessed a tremendous growth in the number of smartphone vendors to 22 from 15 a few years ago. In addition, smartphones priced under $100 dollars experienced an increase in market share to 20% from 5% in 2013. Currently, Nokia, Samsung and Tecno control 75% of the Kenyan smartphone market with brands such as Infinix, Innjoo and Wiko beginning to gain traction in the lower and mid-range device market. The ownership of devices continues to balloon with the average number of smartphones ever owned by Kenyans standing at 3.1. Last week, we pointed to a report by Google Consumer Barometer where 83% of Smartphone owners In Kenya are using them to check the time, 78% for music, 71% to set an alarm while 69% use them to take photos. According to the Jumia report which surveyed 576 respondents, the most popular activity on smartphones was chatting and social networking at 78%, calling at 75%, E-mails and online browsing both accounted for 69%, followed by the data heavy activities falling under entertainment; 57% of respondents played games, listened to music and watched videos on their smartphone. Interestingly, memory is the biggest driver of smartphone purchases standing at 72% followed by battery life at 59% and camera at 56%. The brand of the device was at 44%. This was based on six parameters offered by Jumia which included Price, Brand, Memory, Camera, Size and Battery life. The numbers above support the narrative of Kenya’s continued growth as a tech hub in Africa. Currently, with with internet penetration at 54.8% of the population or 22.3 million Internet users.